What Role Does Family Play in Italian Society? Before you begin working your way to foreign language fluency, it helps to understand the culture behind the language you’re learning. After all, language exists to help a group of people express their ideas and beliefs. Italy is an old country with a rich history and culture. As you begin your Italian language program, gaining a strong grasp on this history, the values, and the etiquette will help you rapidly achieve success. 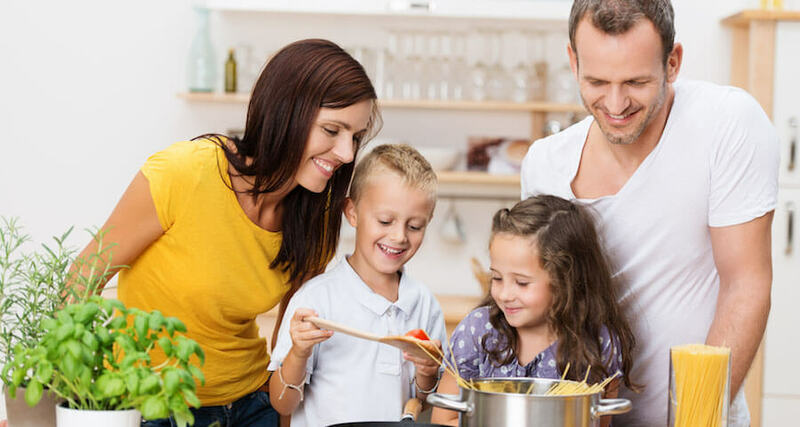 In particular, Italians value family, cherishing the close relationship with children often living at home well into adulthood. For Italians, family is the most important part of life. Family comes before everything else. To an Italian, family are the people you turn to in times of need, the people you trust, and the people you help above all others. You can see extreme examples of Italian family loyalty in the Sicilian Mafia, which goes back for decades. Members of the mafia are so loyal they have committed revenge murders on those who have done their family wrong. Italians enjoy discussing their families and discussing the families of others. A person’s family history can say a lot about that person and their character. If you are visiting with Italians, you may want to bring photos of your family so that you can talk about them. Italians do not just consider bloodlines when including people in their family. If you have known someone long enough and are close with them, you are part of their family. Many Italian businesses are still family-centered affairs. Sons and daughters often take over a business once their parents retire, because Italians believe it is important to keep the business in the family. Italians are so loyal to family that they will make the sacrifice to take over a business they do not enjoy just to keep it in the family. When someone is considered a member of an Italian family, either through blood or through a longstanding connection, it is considered the utmost sleight to show anything but loyalty to a family member. For example, you would not fire a family member from a job, even if he or she was not working to full potential.